This might not be a bed in the traditional sense, but wouldn't you love to just crawl inside this beautiful teepee and take a glorious nap?! The crisp white linens, the textures, the blushes and oatmeal tones, have got me feeling some major bed envy. 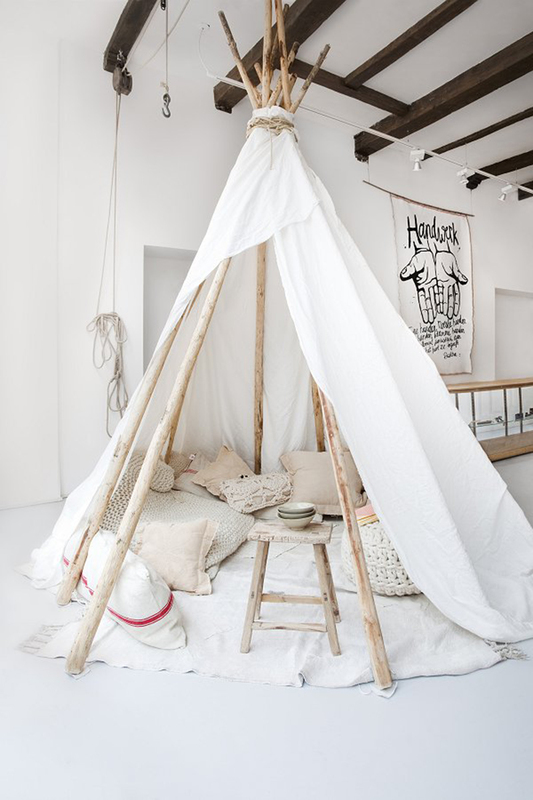 This teepee dreamland can be found at a shop called Sukha Amsterdam. You can drool over more pictures of the shop interior here, at a blog called Vosgesparis. Amsterdam is one of my favorite cities that I have ever been to for a million different reasons, one of which is the gorgeous, simple, crisp style that you can see in so many homes and shops. One thing that really surprised me about Amsterdam was that the people live in these tall, narrow buildings with windows right on the sidewalk and you can literally look into a family's living room or kitchen as you stroll by and see them going about their daily lives. Almost none of them had curtains, or if they did they didn't bother to close them. It was so different from the guarded, closed-off attitudes about privacy and home life that I am used to here in the states. And this store is no exception to the simple, airy, whimsical decor that I fell for. 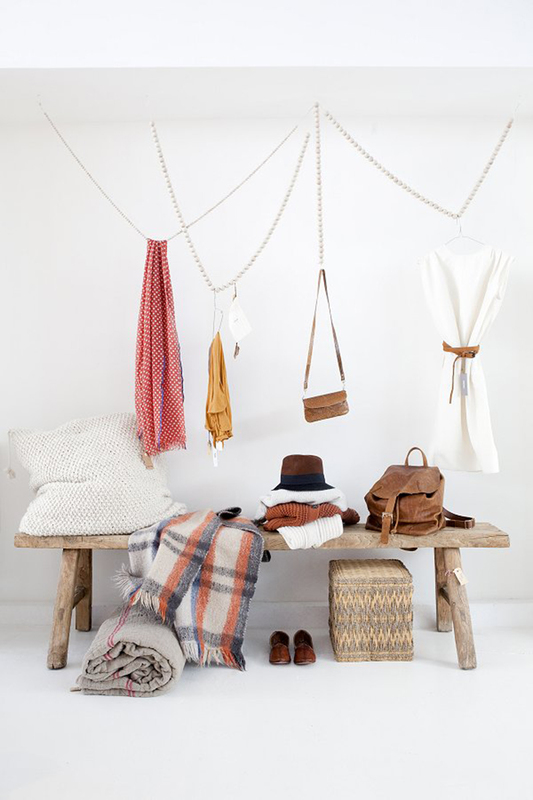 Clearly Sukha has been merchandized by someone with a great eye. This display makes me want to hop on a plane and go straight there right now! I'l take one of everything, please. 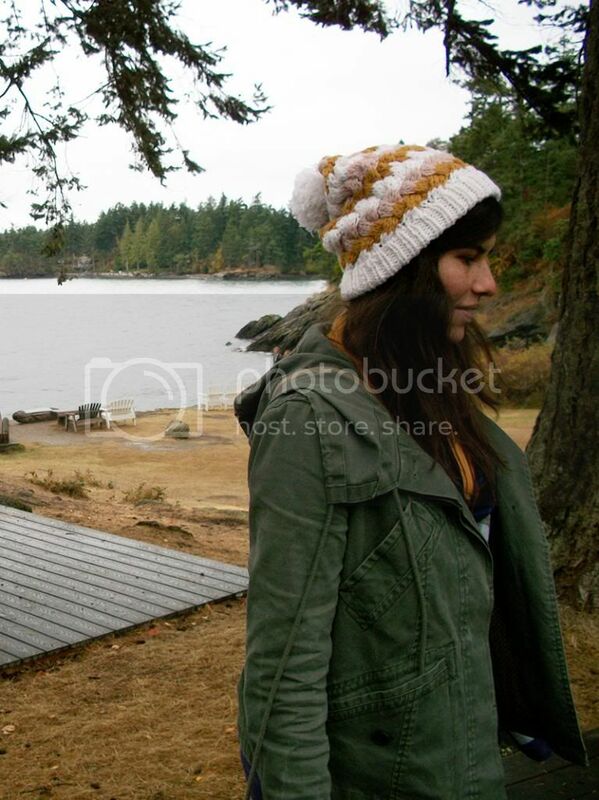 Both images via Vosgesparis blog.